Jeff Herman’s Directory of Agents – this review exposes the advantages and disadvantages of this popular guide. Although this literary agency directory is one of the best sources of book information on the market, it shouldn’t be the only directory that you use. Scroll below to learn more and see a sample listing from Jeff Herman’s Directory of Agents. This article is part of a 9-part series to help you find the most valuable Directory of Literary Agents for you and your book. Jeff Herman’s Directory of Agents has sold more than 500,000 copies. 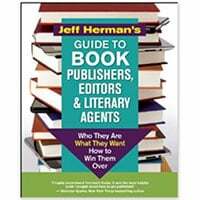 In addition to featuring many of the most successful literary agents, Jeff Herman’s Directory of Agents also includes information about book publishers and editors. In short: who they are, what they want, and how to win them over. Jeff Herman’s Directory of Agents is one of my favorite literary agent directories. 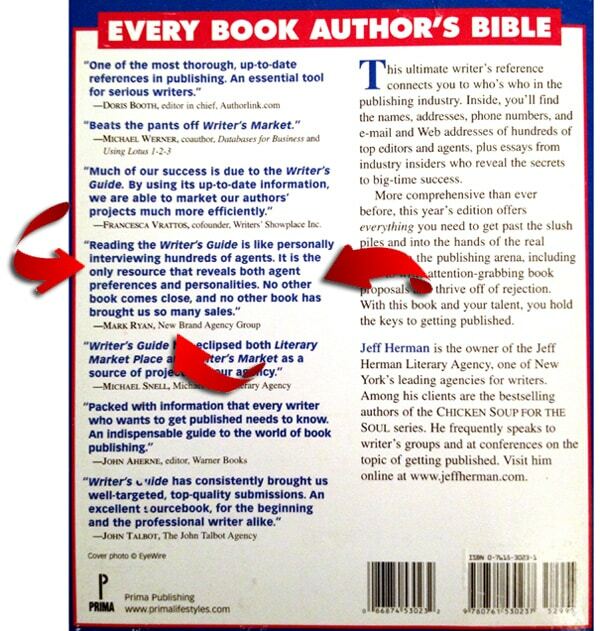 In fact, when I was a literary agent I loved Jeff Herman’s Directory of Agents so much that I wrote a blurb for it that published on the cover. You’ll see why I’m such a raving fan of Jeff Herman’s Directory of Agents in just a moment. But you’ll also see a sample literary agency listing from the book. And I’m going to share a detailed critique of Jeff Herman’s Directory of Agents. Although Jeff Herman’s Directory of Agents is a valuable resource, it should not be the only resource you use when researching literary agents. That’s because Jeff Herman’s Directory of Agents is incomplete. There are more than 1,000 active literary agents in the United States alone, yet Jeff Herman’s Directory of Agents only includes a couple hundred from the United States, and none from abroad. 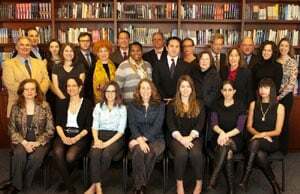 The rationale behind the small number of literary agencies included in Jeff Herman’s Directory of Agents, according to the publisher, is that the editor only wanted to include the best of the best. But there are a lot of agencies from our list of the 50 Best Literary Agencies that aren’t included in Jeff Herman’s Directory of Agents. For example, these two powerhouse agencies. Another thing to keep in mind is that the only way for a literary agent to be included in Jeff Herman’s Directory of Agents is to be invited, or submit a request and hope to have your request approved. Believe it or not there are many successful literary agents that don’t even know Jeff Herman’s Directory of Agents exists. Or they don’t care about being included, so they never bothered to submit an inclusion request. Why wouldn’t they care about being included? The most successful literary agents already get a high volume of submissions each month, and they get a lot of referrals, so they aren’t hurting for clients. First, the literary agencies listed in Jeff Herman’s Directory of Agents have to fill out a new questionnaire every year to be included in the following year’s edition. Many of those literary agents don’t submit their information before the deadline, and end up being cut from the new book. Second, and this is a big one. 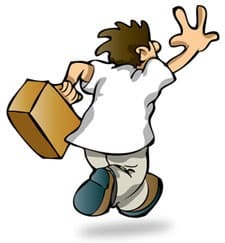 Even though Jeff Herman’s Directory of Agents has fantastic information for the literary agencies that are included, the index absolutely stinks. There’s no way to easily figure out which literary agents are interested in any particular book genre or category. The only way to find out is to read every individual literary agent’s listing. So, don’t let Jeff Herman’s Directory of Agents be your #1 resource when researching literary agents. Don’t let it be your only resource, either. Marketing & Licensing Manager for Blue Mountain Arts, the gift publisher that invented e-greetings and sold their e-card division for close to $1 billion. Director of Marketing & Co-founder of Born Celebrity, helping personality-driven brands like authors, speakers, coaches/consultants, and celebrities with brand development and brand management. 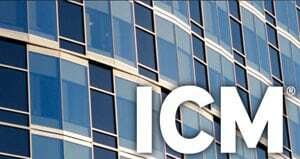 Behavior Modification Expert & Trainer for several social services institutions serving developmentally delayed adults; the homeless; and disadvantaged youth (including jailed offenders). Other roles I played before becoming an agent: weed-puller, lawn-cutter, actor (Baltimore Orioles commercial—age 10), bag-boy, prep cook, aircraft parts painter, telemarketer, door-to-door sales, logging foreman, and assistant chemist/metallurgist. Meeting new authors; speaking at writers’ conferences and other events; helping high-level entrepreneurs integrate their books with their businesses; new ideas and new experiences; spending time with my incredible wife of eleven years; reading books (of course); movies not by Jerry Bruckheimer. Fiction and nonfiction with bestseller potential (national/international appeal likely to sell at least 100,000 copies). Fiction: adult and/or young adult (thrillers; mysteries; suspense; light horror; mainstream; light literary). Nonfiction: popular culture; success/leadership; psychology/self-help; relationships (interpersonal and/or romantic); personal growth; spirituality; gift/novelty; autobiography/biography; humor. Visit our website where you can: review sample queries and proposals for works we’ve sold; query us via email (24-hour response time); subscribe to our free publishing newsletter; submit your question to our interactive “Ask the Agent” column; read articles by well-known authors and publishing professionals; meet with us at a writers’ conference where I’ll be speaking. Enough that we’ve stopped counting—representative titles listed below. 24/7 and The Hill by Jim Brown (Ballantine),The Marriage Plan by Aggie Jordan, Ph.D. (Broadway); The Body of Christopher Creed by Carol Plum-Ucci (Harcourt-Brace/Paramount); The Finnegan Zwake Mystery Series by Michael Dahl (Pocket); The Misfits, Inc. Mystery Series by Mark Delaney (Peachtree); The Crisis Counselor by Jeff Caponigro (Contemporary); Eat Or Be Eaten by Phil Porter (Prentice-Hall); Father To Son by Harry Harrison (Workman); The Women’s Guide to Legal Issues by Nancy Jones (Renaissance); The Husband Book by Harry Harrison (Andrews McMeel); The Scooter Spy Mystery Series by Michael Dahl (Pocket); Various mysteries by Rae Foley(Simon & Schuster); Various young adult novels by Susan Rottman (Peachtree/Penguin). We’ve heard stories… but our clients are heavenly. Call us idealists (we are), but we only work with authors we like, trust, and respect (as writers and human beings). Our authors are just as marketable as their books: Mediagenic. They are also willing (and able) to learn as much about publishing and marketing as they have learned about writing. Since the five biggest publishing houses in the world are now responsible for 80% of the books on the bestseller list… more is required of writers hoping to make a living as authors. On a relationship level, our authors perceive the author/agent relationship as a partnership. And they reward our enthusiasm and hard work with trust and patience. Many writers don’t understand (or forget) that veteran agents have seen and heard tens of thousands of pitches (email, letter, phone, and person-to-person at writers’ conferences). Be prepared. Imagine us sitting in front of close to one thousand submissions (the total number we receive each month), with a goal of finding two new authors we want to work with. Take the competition seriously and do all you can to be the best. Read books on craft and marketing. Study your market and target your submissions. Write, edit, repeat. Build your promotional platform. Network. Treat your publishing career like a business by investing financially and hiring a book publishing consultant and or professional editor. Then find an agent who believes in you—with the knowledge, connections, and energy to make things happen. I became an agent so I could grow myself as a writer and speaker, and get my own books published (hey, I’m honest). As it turns out, being a successful agent is just as dynamic and rewarding as being a successful author. So now I’m “stuck” doing both. Reading more books; writing more books; racing motorcycles; and spending more time with my wife. Agents sell books. And the best agents use every tactic (within reason, conscience, and the law), to get it done. Agents also: view the author/agent relationship as a partnership; help authors discover and develop their niches; help massage proposals and books into clean, tight, marketable copy; offer strong contacts with publishers; add credibility to their authors’ work because of their experience; are aware of the tastes and eccentricities of individual editors and publishers; give authors new book ideas; are energetic and persistent; return calls and correspondence promptly; sort out unexpected catastrophes; help develop speaking platforms and offer other marketing support; are always learning, stretching, growing; aren’t afraid to fight for their authors. Through fate or divine intervention I met Eric Alterman, the founder of New Brand Agency. I wanted to learn more about publishing (I was an aspiring author), and Eric made me a partner. During the four years that followed, I managed New Brand while he established several technology companies. In June 2001 I bought out the agency. Editors want to help discover and develop the next bestseller as badly as you and I do. If they receive a project they think (and feel) will become successful, they’ll buy it. Publishers pay our bills. We like them, a lot. Choose your agent carefully. Remember, if you have mastered your craft you’ll have several agents to choose from. Talk with them to determine which one is most worth developing a long-term relationship with. By the way, editors do the same thing with agents. I figured that out early on when an editor told me, “I invited you out to lunch to see what you are all about. I want to know if I should develop a relationship with you.” I wasn’t offended because I was there for the same reason (not every editor is exceptional). Believe in yourself, and don’t settle for anything less than the best. Click here to buy Jeff Herman’s Directory of Agents on Amazon.